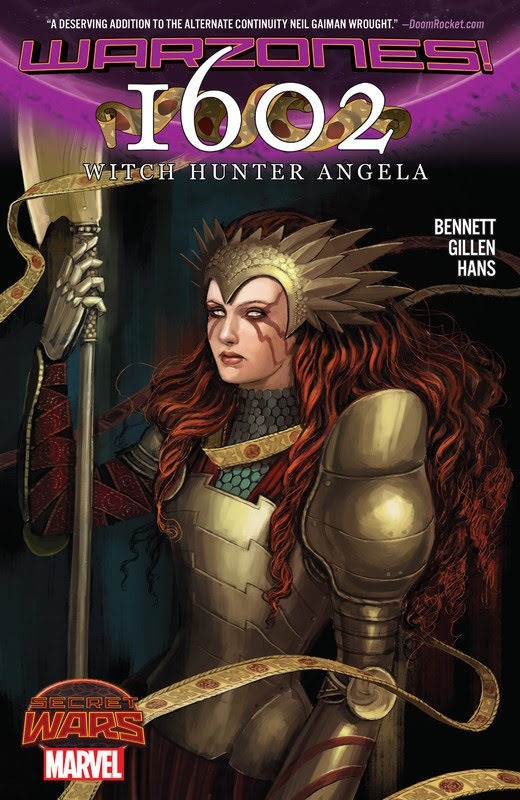 In one of the most magical realms on Battleworld, Angela and Sera are Witch Hunters the scourges of King James‘ England, just as it stood in 1602. But their target now is a new breed of evil: the power-bargaining Faustians! The Faustians have made their deal not with the Devil, but with the ever-seductive Enchantress and that may be just as deadly. Have your psychic ribbons and lethal weapons at the ready, for the hunt is on! But beware a land where the dead walk, the faerie folk flutter and a ragtag band of ne’er-do-wells perform for your entertainment that’s right, it’s the Guardians of the Galaxy, 17th-century style!